The cast of 'Saved By The Bell' reunited Jimmy Fallon on last night's episode of The Tonight Show with Jimmy Fallon! 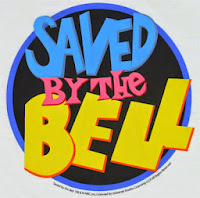 In the nostalgic sketch, stars of the 90s TV show appeared in character in as Zack Morris (Mark-Paul Gosselaar), Kelly Kapowski (Tiffani-Amber Thiessen), A.C. Slater (Mario Lopez) Jessie Spano (Elizabeth Berkley) and Mr. Belding (Dennis Haskins). The cast even poked fun at their post-Bayside careers in Hollywood. When Fallon said he wanted to leave the school to join “SNL,” host a TV show and date Nicole Kidman someday, Zack Morris laughed. “Jimmy going on a date with Nicole Kidman is like Jessie becoming a stripper,” he said. But not all “Saved by the Bell” cast members could make it to Wednesday’s reunion. Lisa Turtle (Lark Voorhies) and Screech (Dustin Diamond) were nowhere to be seen.